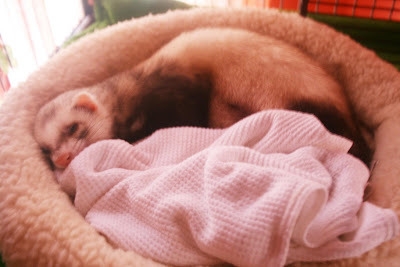 This is my big boy ferret, Milo, wanting to sleep in while the other ferrets were playing. Of course, he knew we were all up...see his ear standing up. Within a few minutes he was up.